Backup4all 7.2 was released, a major update that adds a new option to run backups after a selected period of time and multiple interface languages. The new version contains important features and updates thus we highly recommend downloading it. You can download the new version here: Download Backup4all. Option to Run backup after X hours. 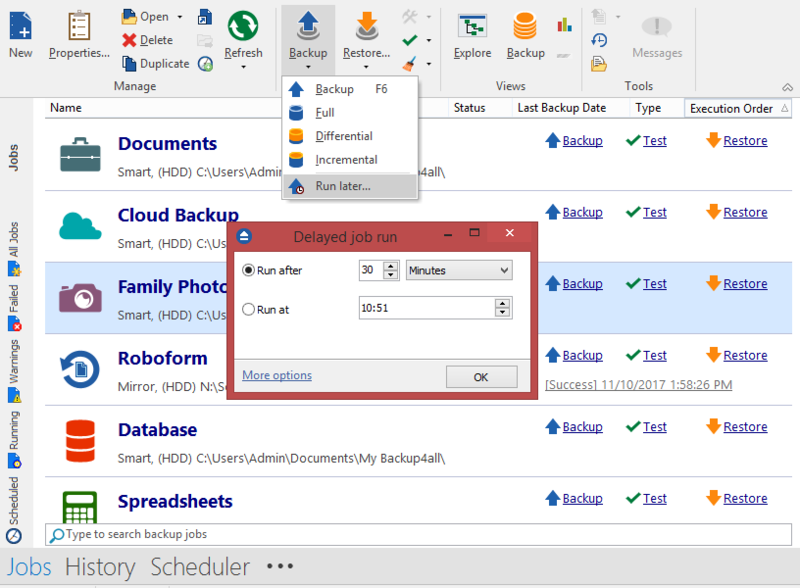 Version 7.2 adds a new option that allows you to quickly define a scheduled backup. “Run later” lets you schedule the current backup to run after X number of minutes or hours, or to run at a specific time. This option is basically a shortcut for scheduling backups. New languages for the user interface. Since the release of version 7 we’ve been working with our translators to finalize all languages we had in the previous version. We’re happy to announce that more languages were finalized and are now available for the user interface: German, Portuguese (Brazil), Dutch, Korean, Romanian. New API for OneDrive for Business [PRO only]. Backup4all Professional can back-up online to OneDrive for Business. We have integrated OneDrive’s latest API thus 7.2 is a mandatory update for those that were using it as a cloud destination (the old version won’t work since the previous API is now deprecated). 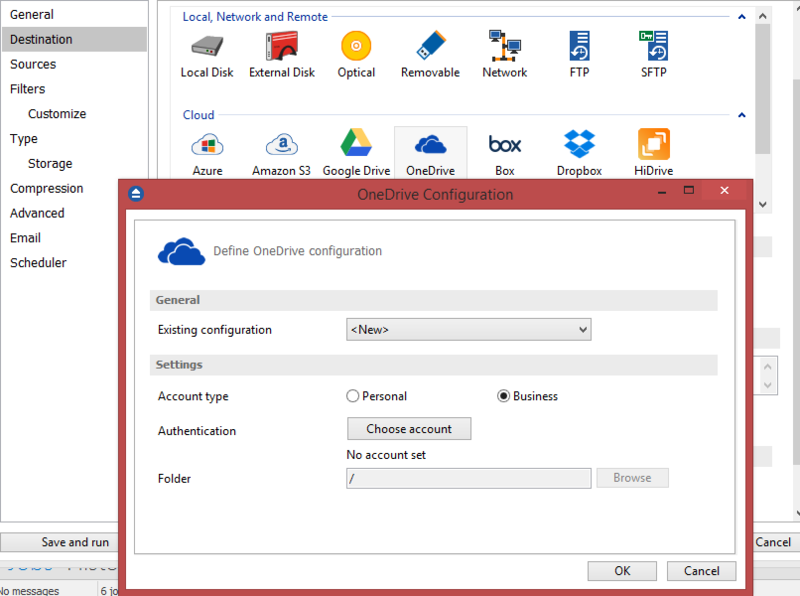 The latest API also brings enhancements when using OneDrive for Business as a destination. This version update is free for all users that have an existing valid license of Backup4all 7.x. However, this version is not free for users of previous versions of Backup4all (1.x – 6.x). If you own a previous version and want to test Backup4all 7.2, you can install a 30 day free trial here: Download Backup4all 7.2. This entry was posted in News, Version History and tagged backup4all 7.2, changelog, timeline. Bookmark the permalink.